The WingBar in the Carroll Gardens section of Brooklyn makes a great burger, but I go there for the sprouts. The addictive smell of WingBar sprouts tossed in a sweet-and-sour vinegar mixture makes me float toward them like Pepé Le Pew every time I’m in the neighborhood. At Black Tap, we flash-fry our sprouts, toss them with salt and pepper, and serve them with a homemade Tahini Sauce. To a blender jar, add the ingredients in this order: tahini, soy sauce, vinegar, and lemon juice. Blend on medium speed, then with the motor running, slowly drizzle in the canola oil and chili oil. Blend until completely smooth. The dressing can be used immediately or refrigerated in an airtight container for up to 5 days. Heat the oil in a large deep pot over medium-high heat until it reaches 350°F on an instant-read thermometer. Carefully add about half the Brussels sprouts (they will bubble and hiss when you add them to the pot) and fry until they float and are nicely golden, about 3 minutes. Use a slotted spoon or frying spider to transfer them to a paper towel–lined plate (some of the leaves may come off the sprouts, which is fine; they’re extra delicious and crisp but will probably brown more quickly than the sprouts, so fish them out when they are browned and crisp). 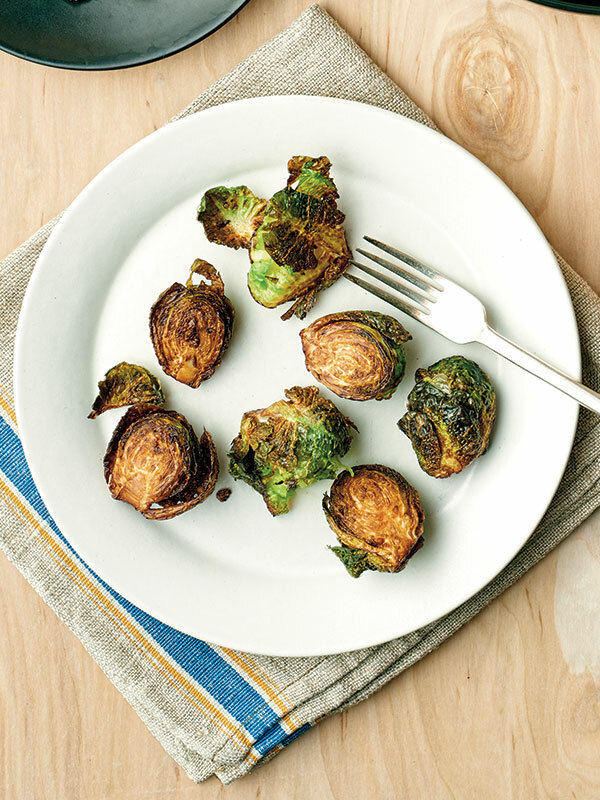 Repeat with the remaining Brussels sprouts and serve hot, with the Tahini Sauce on the side for dipping.